As the great postmodern philosopher Matthew McConaughey once said, time is a flat circle. But while the universe may be one giant ouroboros, at least it regurgitates something interesting now and then. Take the station wagon, for example: After an extinction-level event over the past 20 years pruned the market down to a select few survivors in America, the low-slung two-box shape is back, baby. All right (all right, all right), that's an exaggeration. But it's hard to deny that our inexorable march towards a crossover-filled future has slowed just a tad as both new station wagons have joined the party in this country and the old stalwarts continue to deliver. Consider the stunning Volvo V90 Inscription, the spicy Jaguar XF Sportbrake, or the the sublime Mercedes-Benz E400—all of which are excellent vehicles. 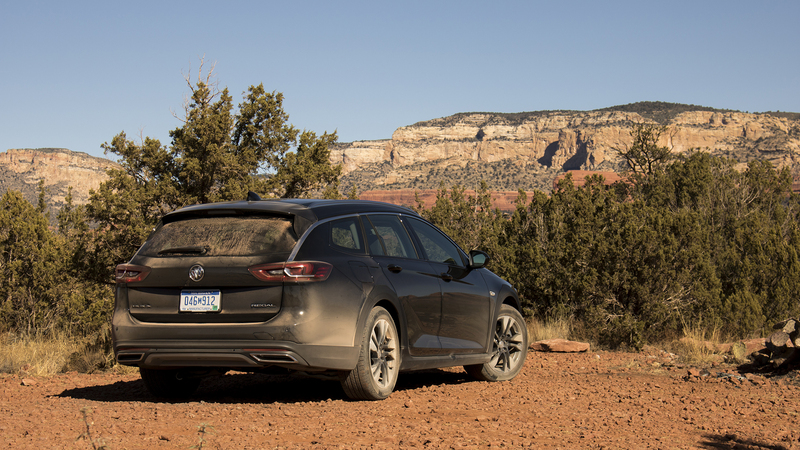 Or if you're looking for something a bit more accessible, climb into the subject of today's review: The 2018 Buick Regal TourX. Yes, that Buick, and that Regal. Two nameplates that nearly gave up the ghost during General Motors's brush with bankruptcy last decade, both of which have combined forces to bring us the first wagon from an American manufacturer since the Cadillac CTS bowed out a few years ago. But in keeping with the times, this isn't your grandfather's Roadmaster Estate. No, the Regal TourX is a lighter, nimbler wagon with standard torque vectoring all-wheel drive, a punchy 250-horsepower turbo-four, and a few luxurious touches that make it something of an Audi Allroad fighter on a Subaru Outback budget. If you haven't been paying close attention to Buick lately—you can admit it, we won't judge—this all might seem a curious move. But the brand has quietly become something of a risk-taker since it emerged from the depths of the recession as GM's "attainable luxury" brand. The Buick Encore was an advance scout for the invasion of tiny crossovers when it arrived back in 2012, while the Cascada has emerged as a sales success despite being a pure convertible model with an offbeat wedge-shaped design. So in that light, what's so odd about selling a new station wagon in a country that's actively rejecting them? Maddeningly, Buick executives continue to call the Regal TourX a crossover. 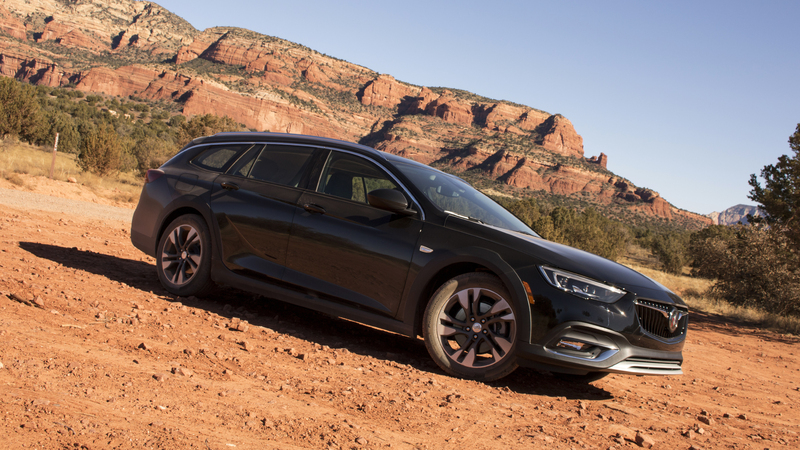 I understand the impulse, but after traveling with Buick to test out the car in the Arizona high desert outside Sedona, I say let's cut the buzzwords and tell the truth: It's a station wagon, and a pretty damn good one at that. No car is perfect, and the Regal TourX is probably not the long-roof messiah. But it does make a striking, convincing case for stepping out of that CUV and slipping into something a little more low-slung. The new Buick Regal family—Sportback, Gran Sport, and TourX—started out over in Europe as the Opel Insignia. The new models all look pretty slick, with an angular front clip and a sweeping roof line—but the motif works even better when translated into a station wagon on the Regal TourX, which looks bigger and more stately in person than its midsize classification would suggest. At 196 inches, it's longer than the Audi A4 Allroad, Volkswagen Golf Sportwagen/Alltrack, and Subaru Outback. It's also lower and wider than its competitors; Buick was quick to point out how this would make it easier for buyers to load and unload roof-mounted items like kayaks, mountain bikes, shark cages, or whatever outdoor ephemera a young, active, upwardly mobile family would want to carry. To these eyes, it's a handsome car; one of my favorite design features is the way the chrome trim on the top of the windows runs all the way back and down into the taillights. Really, the only miss is the overuse of plastic cladding, which, unlike with the Volvo V60, can't be deleted. We get it—it's supposed to be tough. Thankfully, any sense of sock-stuffed-in-your-pants fake machismo is avoided by a cleanly-designed rear bumper with integrated exhaust pipes. And thanks to the lower ride height (though still nearly an inch higher than its sedan counterpart) and capacious rear overhang, the Regal TourX bears one of the most classic wagon looks to hit the American market in a while. Make all the rental car jokes you want, but seriously, would you be upset to stroll into the lot and see one of these waiting for you? In a sea of flabby crossovers and jelly bean sedans, the TourX stands out like the cool, mysterious new kid at school. If Buick is going to lure people out of their high-riding, spacious crossovers, it'll need to do so with numbers. 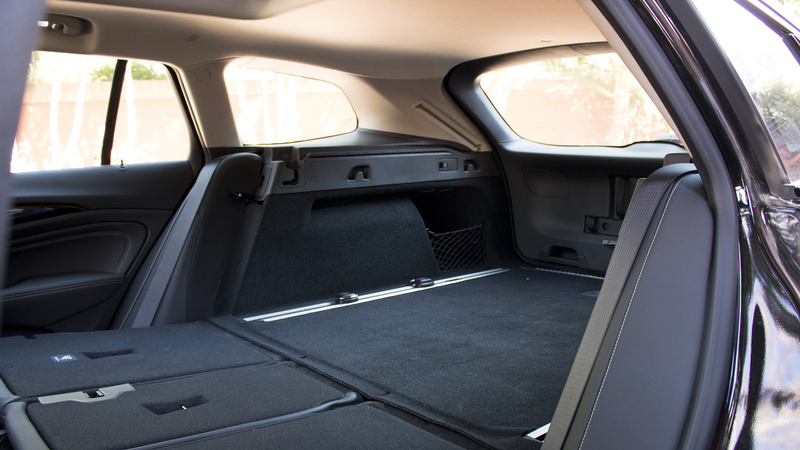 So let's get right to it: With the second row seats folded flat, the Buick Regal TourX can swallow an impressive 73.5 cubic feet of stuff. That's far more than competitors from Volvo, Audi, and BMW, and just shy of midsize-plus crossovers like the Infiniti QX60. There are no third row seats to be found; the sloping roof leaves little headroom in the back, and besides, a seat mechanism would eat into available cargo space. Purists may mourn the loss of the rear-facing jump seats that carried generations of children, but its sacrifice leaves behind an expansive space for five passengers and all their junk. The interior of the Regal TourX is identical to the other models we at The Drive have reviewed. The dash has a clean, horizontal layout, though symmetry freaks will lose some sleep over the way the center stack is tilted towards the driver. The button-based interfaces and analog gauges are familiar and functional, the 8.0-inch touchscreen infotainment system is perfectly adequate, and optional Apple CarPlay/Android Auto and a 4G LTE hotspot bolster the connectivity options. On the downside, there's only one USB port up front. The cabin is acoustically engineered with Buick's Quiet Tuning technology to block out exterior noise, and though the test models GM brought for journalists to drive in the Southwest were missing the foam-filled tires that will help bolster the effect on customer cars, it did seem quieter than the average car inside. The giant panoramic sunroof—a worthy descendant to the old Buick Roadmaster's Vista Roof—is another handy TourX perk, as is a knob that controls the default opening height of the rear hatch. But the car is definitely lagging some of its rivals in the premium space. (There are no plans to develop a top-shelf Avenir model.) The leather seats are stiff, there's too much plastic, and the all-black color scheme mutes everything. Overall, though, it feels appropriately conservative for Buick—perfectly pleasant, but a little boring. The reason automotive journalists and other associated weirdos tend to perseverate over station wagons is because they combine the storage of an SUV and the driving dynamics of a sedan. The shared mechanicals and low center of gravity mean your average wagon is far more fun to chuck around a corner than most crossovers will ever be. 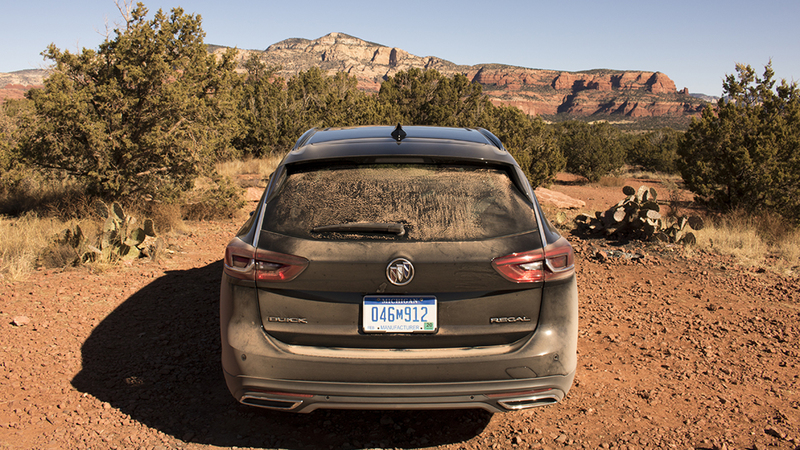 Despite its all-terrain vibe, that's true of the Buick Regal TourX, too: The 2.0-liter turbocharged four-cylinder engine, the eight-speed automatic transmission, and the torque-vectoring all-wheel-drive system all work harmoniously on and off the pavement. There's a bit too much turbo whistle off the line, but the engine pulls surprisingly strong for such a big wagon, and the eight-speed shifts smoothly and sensibly. With 250 horsepower and 295 pound-feet of torque, there's plenty of grunt to go around. But the most impressive part by far is the twin-clutch all-wheel-drive system, which can divert almost 100 percent of torque to a single wheel if the other three lose traction. 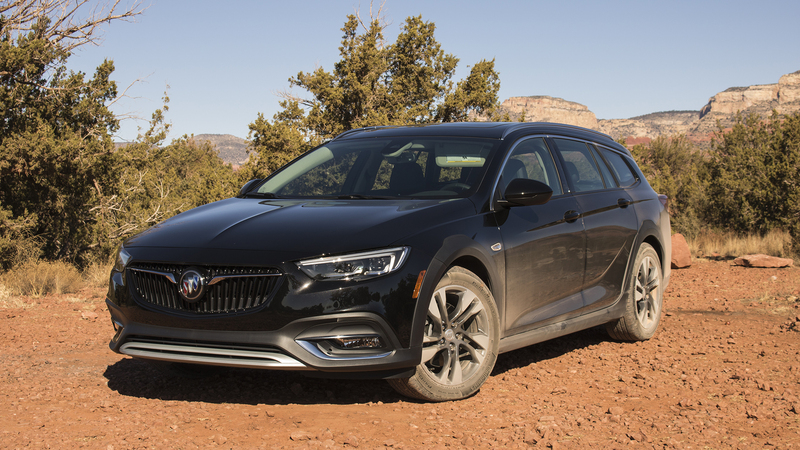 Buick set up a face-off between a TourX and a Volvo V60 Cross Country, each sitting with three wheels propped up on rollers so they'd spin ineffectually. Only the TourX managed to push itself off the rollers with a single wheel on solid ground. In the real world, all that adds up to a driving experience that feels sportier and more fun than the Subaru Outback, but a bit softer than European rivals. 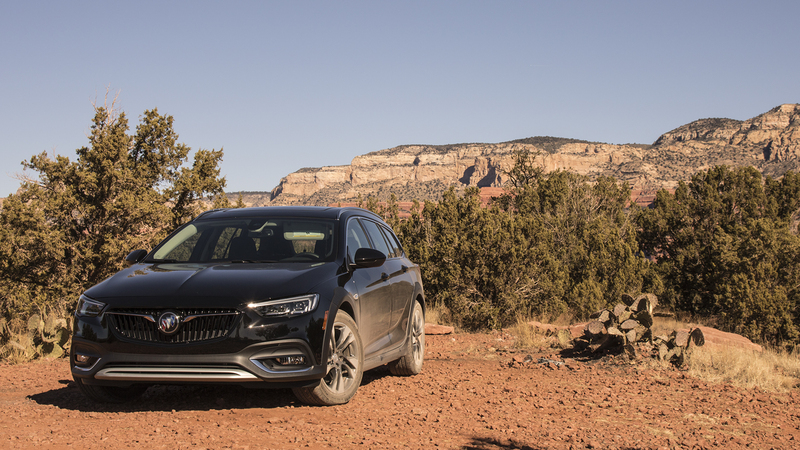 On paved roads, it handles like a smaller car than it is; off-road, the all-wheel-drive system was more than capable enough to tackle washboard forest roads in the Coconino National Forest. The torque-vectoring system was developed by the same company behind the drift-happy Ford Focus RS; whether or not that means the TourX can also get a little loose in the dirt, I'll leave for you to find out. 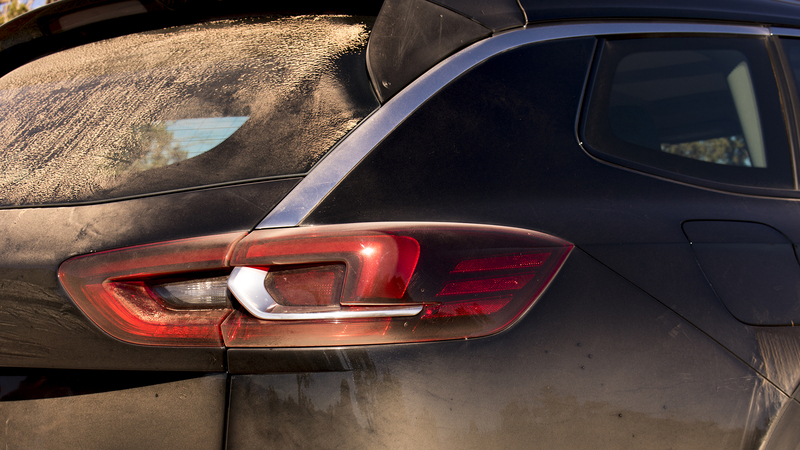 In many ways, it seems like Buick wants the Regal TourX to be the Rashomon of its lineup: People see what they want to see. To station wagon enthusiasts, it's a rolling vindication. To journalists and analysts, it's a fascinating white space product that could portend an interesting shift in the automotive world. To the average buyer, it's probably just another crossover, albeit one a little lower than most. Semantics aside, it's clear Buick is betting big on the TourX. The company recently raised its sales forecast for the wagon in the face of "pretty good feedback," an executive told Automotive News last week, and it's now expected to make up half of all Regal sales this year. The pricing will certainly help—though the $29,995 base price is higher than a comparable Subaru, it's thousands cheaper than the more luxurious offerings from others in the segment. Sound like a good deal? It is, but the options list offers a necessary reality check. Start with the desirable Essence trim at $35,995 and add in some more creature comforts and all the usual driver-assist tech, and the price for our maxed-out tester climbed to $41,155. A lot of money, sure. 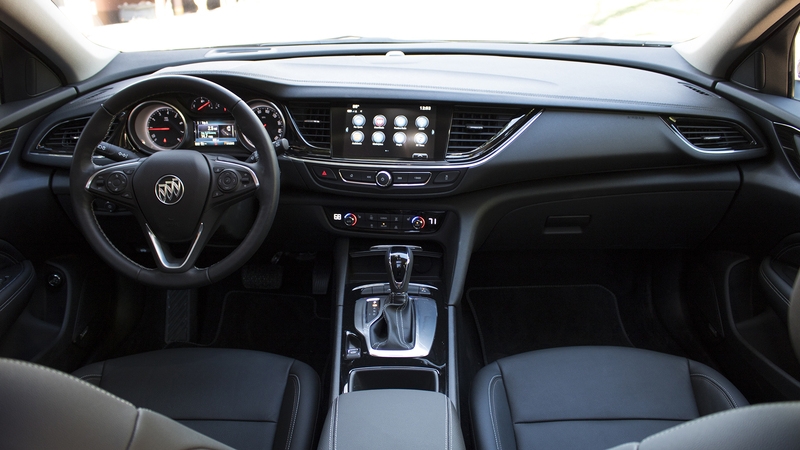 But the Buick Regal TourX is a lot of car, and its retro approach to space utilization is a welcome throwback to a time when the sticky concept of value was a little more clear. And if humanity really is doomed to keep repeating our mistakes until the sun swells up and obliterates the Earth...maybe we can all agree to at least do it in style. In light of favorable feedback, Buick believes that half of all Regal sales will be wagons.